This is the first post in my “Judging Success” series, teaching you how to tell if your online marketing is really delivering. Have you ever wondered how successful the SEO copywriting on your website really is? SEO copywriting can be judged by a vast array of subjective measures. But there are also objective ways to judge the success of your website’s SEO copy. Before we begin, it’s important to define our terms and set the parameters for discussion. When I refer to “good SEO copywriting”, I’m talking about keyword-optimised content on all the main website pages, plus regularly published blog posts (weekly or fortnightly). It’s also important to note that all the outcomes discussed are based on the presumption that your website is structurally sound and crawlable, and that you do not have a dodgy back-link profile, as any of these problems can retard the success good SEO copywriting should bring. Good SEO copywriting is designed to engage your readers and call them to action. Both these actions should result in lowering your website’s bounce rate. When a visitor comes to your website and only looks at one page (either because they hit the “back” button or close the browser window), they’re said to have “bounced”. Your website’s “bounce rate” measures the percentage of website visitors who bounce. Good SEO copywriting can lower your bounce rate because people who are engaged are more likely to take a look around the site, and because your calls to action will often (though not always) direct visitors to another page, such as the Contact page. People who stay on your site longer are more likely to convert by engaging your service or buying your product. Google appears to consider bounce rates as a ranking factor. A lower bounce rate can be taken as a signal that your website is relevant. Google rewards relevancy. At its most basic, good SEO copywriting is designed to boost your search engine rankings. This is achieved through creating keyword-optimised content, and regular blogging. Regular blogging is important for SEO because Google et. al. consider sites which regularly publish blog posts to be up-to-date. An up-to-date website is seen to be relevant. And Google rewards relevancy. By combining the power of keyword-optimised content and regular blogging, your website will be well positioned to begin climbing the search engine rankings. The main goal of any textual marketing material such as SEO copywriting should always be to increase conversions. A “conversion” occurs when a website visitor does what you want them to do – that is, they “convert” from a visitor to something else (usually a paying client). Conversion objectives can include getting your website visitors to sign up to your email newsletter, buy a product you sell, fill in your enquiry form, email you, or call you. Whatever your conversion objective may be, however, the ultimate goal is for the conversion to generate revenue for your business. Good SEO copywriting leads to more conversions on your website because it presents information in a clear, logical manner, and it calls visitors to action. A website that is unclear and illogical puts visitors off, making them less likely to stick around. If they don’t stick around, they can’t convert. A website without clear calls to action leaves visitors unsure about what they need to do next. This confusion means a significant number won’t convert, because you haven’t told them how they can. Good SEO copywriting removes these barriers to conversion, ensuring more visitors convert into paying clients. 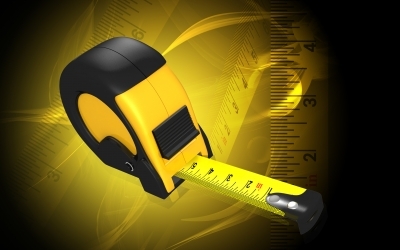 Now you know how to measure the effectiveness of your SEO copywriting, it’s time to get measuring. Can you think of other ways to judge the success of good SEO copywriting? Then I’d love to hear them! Let me know in the comments below.